Find new projects and take on new tasks before you look for a new job. Ideally, you shouldn’t be bored on the job. 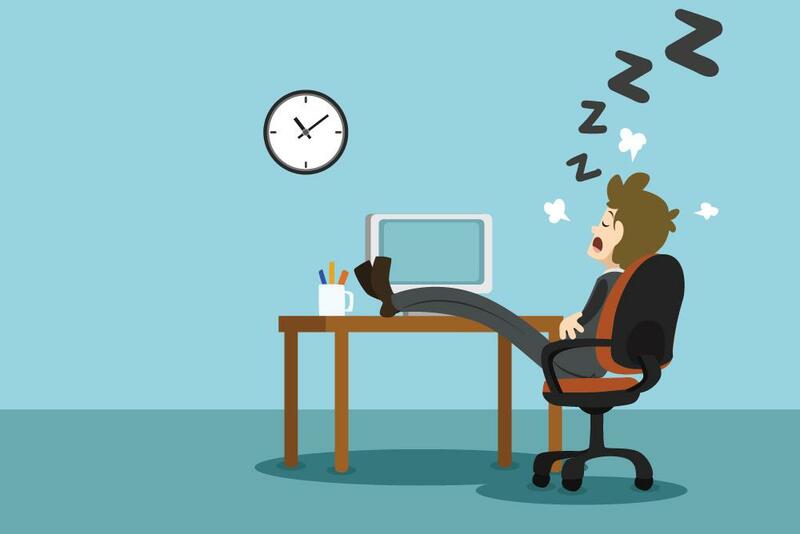 You might have a day here or there when you’re stuck with your least-favorite task, or business slows down and you have to wait for it to pick back up again, but deep-seated boredom is a sign of a bigger issue. If you regularly find yourself daydreaming about other things you could be doing at work, it’s time to take some action. Your manager may have tasks that don’t belong to anyone and are just waiting for someone to step up and implement a new process or provide a new perspective. Offer to look at your department’s procedures and see where you can introduce efficiencies. Find out if your manager has any tasks that could be passed on to you, or if there’s anyone on your team you could cross-train with to learn new skills. Think about something your company doesn’t do yet, but maybe it should. This could be something in the office or a volunteer initiative. Spearhead some charitable works at the office: blood drives, school supply donations for low income schools and a project for the local food bank, for example. These types of projects provide opportunities to learn new skills, practice some leadership and provide value to the company. If you have free time, look into opportunities to further your education or development. Research seminar or conference options, or look into publications and books that may be interesting. If your department is strapped for cash, consider free webinars or other online resources about your industry or leadership topics. If you think your job boredom is coming from it not being a good fit, don’t start a job search instantly. Talk to your supervisor. Assuming you like your co-workers and current environment, try to change your duties there before immediately looking to jump ship. Your supervisor may be able to find a better role for you. If they can’t, however, it may be time to look for something new. Sometimes chronic on-the-job boredom really does mean the role is not right for you. To figure out if this is the case in your situation, you have to know yourself and know the role. Do you prefer a routine with tasks that aren’t likely to vary much? Some people enjoy that because once they become proficient, they can get tasks done without much stress and their mind can wander a bit. Someone with this personality type would likely feel intense pressure in an outside sales environment, for example. Others need unique situations and environments every day to feel stimulated. If you’re this type of individual, a factory job probably wouldn’t suit you.